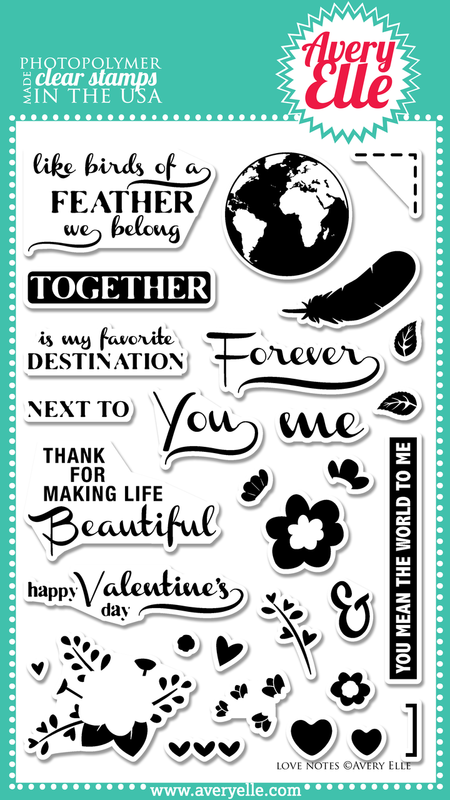 Technically, Love Notes is a Valentine's set, but it has a bunch of really pretty bits and pieces. I used one of the split sentiments that makes it easy to do a two color stamp. Thanks for stopping in and checking out my card! 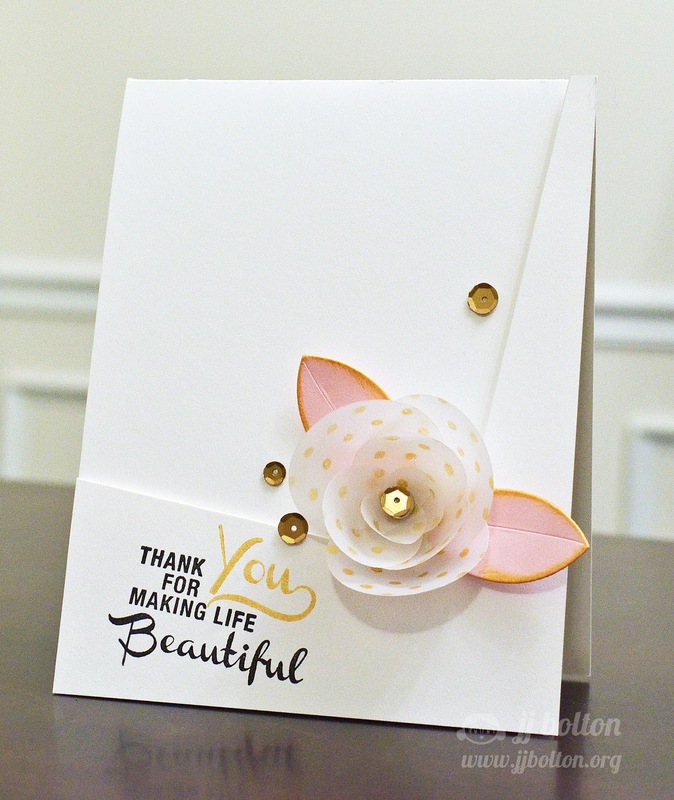 Don't forget to click over to Heather's blog to see the pretty card she has to share! You totally blew me away with this card. Awesome! Oh WOW! JJ, your card is gorgeous! 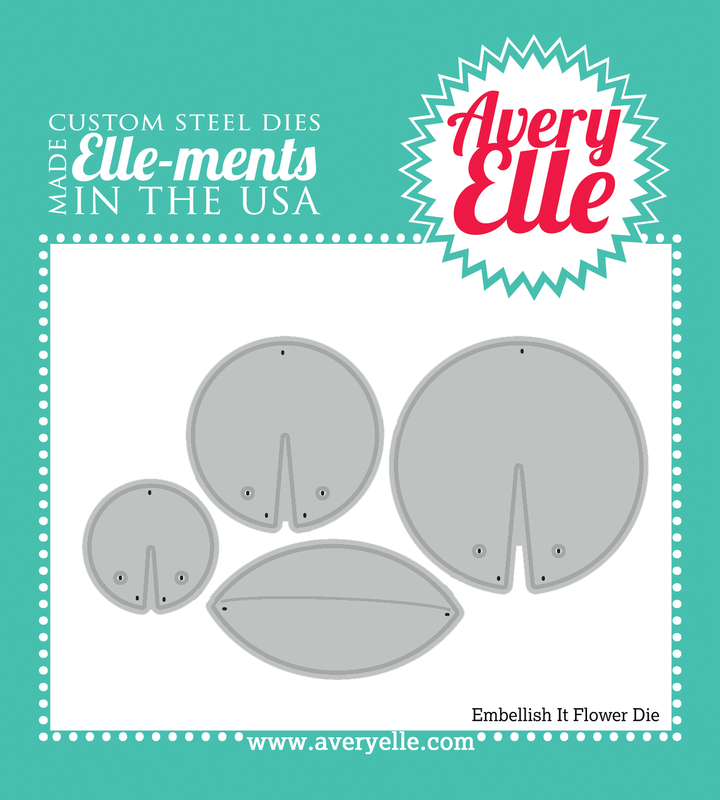 As if the gold polka dots stamped on vellum wasn't awesome enough, you went and made a flower from it! Cool beans! Absolutely stunning card, JJ! 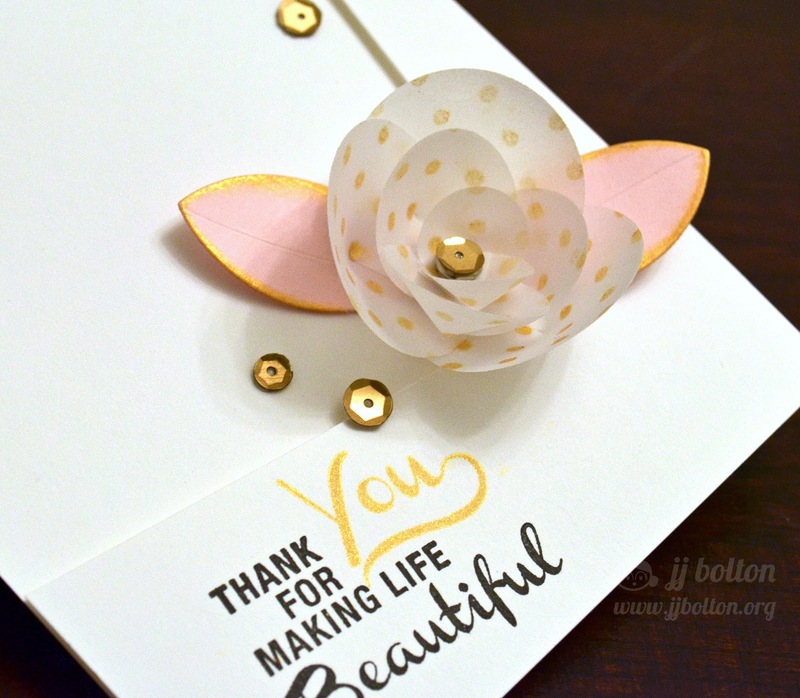 Thanks for sharing it with us and for your ideas about stamping on vellum...it's so soft and lovely! This is so beautiful and delicate, JJ! I already love Nina's sets, but you make them shine even more. Hugs! So sweet and pretty....love the polka flower and soft colors paired with gold! This is amazingly gorgeous, JJ! I love the "you" in gold. Such a nice touch! the originality here is top notch! beautiful job JJ! Can I just say this is one of my most favourite cards of yours in recent times! Absolutely jaw-dropping JJ!! Studio Calico Sugar Rush Reveal! 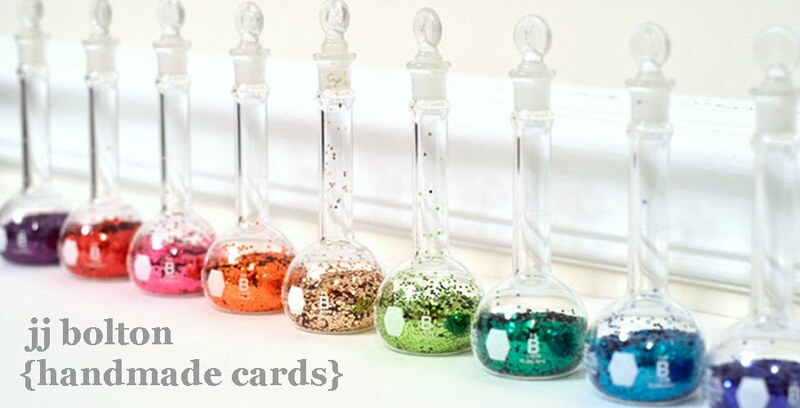 Studio Calico Sugar Rush Card Kit Sneaks! It's a Moxie Fab Day!